Somehow most of us go through life, following the religion of our parents, and give little thought about why that religion even exists. When did it begin? Where did it begin? Why did it begin? How did it begin? What caused the religion to begin years ago? Who was responsible for the particular church or denomination? The result is that the Mormon is taught his Mormonism from his Mormon parents, and he remains a Mormon until the day he dies. He just assumes that the Mormons (“The Church of Jesus Christ of Latter Day Saints”) are right. All that he hears and reads convinces him that there is abundant evidence that Joseph Smith knew what he was doing and the this man is to be trusted for one’s relationship to the church—and for one’s eternal life! The same is true for the Watchtower Witness, the Catholic, the Lutheran, the Methodist, and the Presbyterian. Obviously, it is true for those religions that are not even related to any form of Christendom—such as Islam, Hinduism, Judaism, or Buddhism. Everyone doesn’t question his religion but gives ultimate confidence in someone—whether it be the (so-called) Pope, or Muhammad, or Buddha, or Baha’u’llah (Baha’i). The logical (and theological) thinker will look at this situation and realize that this is not at all the way we arrive at truth! What are the chances that the Mormon just happened to be born into a Mormon family and that this is the religion of which God approves? There are about 15 million Mormons worldwide, and 7.4 billion people in the world. Thus, about one in 500 people in the world are Mormons. There is a one in 500 chance that a person would have been born into the “right” faith if Mormonism were true. But dare we ask: Is it really true? What we say of this religion is true of all of the others. It just isn’t rational to think that we just happened to be born into the “true” religion, without personal examination of that religion. If you see the point that I’m making, don’t you think it is obligatory of you to study and examine your religion in light of the objective standard of the Word of God? Only in this way can you be protected from false reasoning, ecclesiological tradition, and religious charlatans. We know that the Lord Jesus Christ is the only foundation of the faith of which God approves. Scripture says, “No man can lay a foundation other than the one which is laid, which is Jesus Christ” (1 Corinthians 3:11). Jesus Himself said, “I will build My church [or assembly]” (Matthew 16:18). Paul says that we are “built on the foundation of the apostles and prophets; Christ Jesus Himself being the corner stone” (Ephesians 2:20). Jesus said that He is truth personified (John 14:6) and God’s Word is truth (John 17:17). If our religion isn’t based on the infallible Lord of glory, the Savior of the World, and the infallible revelation of Scripture, we should rethink the wisdom of staying in our particular religion or church! Have you considered the danger of following a human leader, teacher, or founder and assuming that he or she is the source of all truth, the key to secret knowledge, the dispenser of saving faith, and the guide to spiritual life? There is no indication in the written Word of God that the Lord would begin His church, body, denomination, or movement through an earthly leader! Yet repeatedly we learn of a human teacher or fallible overseer who claims to be God’s mouthpiece on the earth in our day! Isn’t this the height of foolishness? Isn’t it utterly precarious? The Lord Jesus warned His followers: “Every plant which My heavenly Father did not plant shall be uprooted. Let them alone; they are blind guides of the blind. And if a blind man guides a blind man, both will fall into a pit” (Matthew 15:13-14). Although this may be a reference to the Pharisees of Jesus’ day, the principle applies to our own day. If God didn’t “plant” the church, sect, community, or movement, then it will be uprooted! If the leader is spiritually “blind” about one or more major areas of truth, his leadership will lead many others into a spiritual pit! Since this is true, we need to ask ourselves about the spiritual founder of the religions and churches around us. Who were they and why is it that they hold the ultimate source of what is right and wrong? 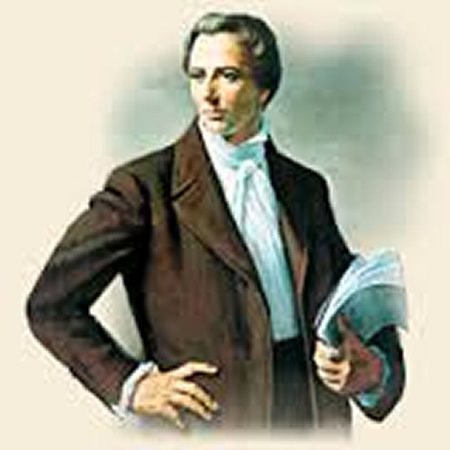 Joseph Smith (1805-1844) wrote the Book of Mormon, claiming that God had revealed Golden Plates to him at the hill called Cumorah, hear Manchester, New York. This New York self-proclaimed prophet says that God had singled him out, among all people on earth, to translate these esoteric plates (that no one can see and have not been preserved) and reveal the truth of God to the world in the early nineteenth century. Today, some 15 million people follow the teachings of Smith and claim that he was the unique dispenser of God’s will in the latter days. Yet, as we examine the Mormon teachings, we find that they are polytheistic since they claim that God had many “baby” gods and good Mormons will become gods themselves, with their own domains in the universe! Dozens of false teachings have been promulgated under Smith’s banner! Charles Taze Russell (1852-1916) made a diligent search of the Scriptures and wrote Studies in the Scriptures. Originally being influenced deeply by Adventist teachings, Russell went on his own and gathered a following himself. He not only spoke extensively, but also wrote at length about various Biblical topics, especially prophetic themes taken from Daniel and Revelation. Today there are over eight million Witnesses in the world who earnestly visit door-to-door with the intention of setting up Bible studies and leading unsuspecting people into their human religious system, even though many of their doctrines deviation from the plain teachings of the Word of God. Has it never occurred to the devoted Witness that Russell’s system is filled with error and outright heresy? 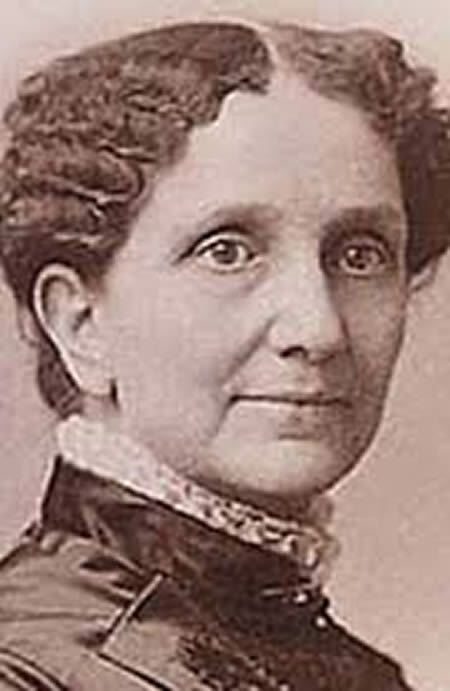 Mary Baker Eddy (1821-1910) is known as the originator of a mind-science group called “The Church of Christ, Scientist’ (which has been revealed as neither the Church of Christ nor is it Scientific! ), in Boston, Massachusetts. 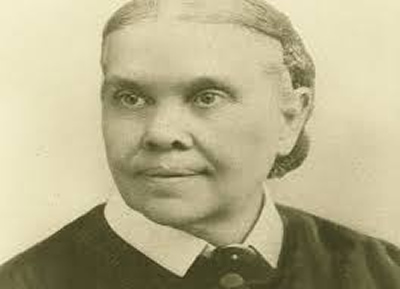 She is the author of the esoteric book, Science and Health with Key to the Scriptures (1875, 1883). Eddy denies major portions of the Word of God, including the nature of God, the nature of Jesus Christ, the nature of the Holy Spirit, the nature of humanity, the inspiration of the Bible, the atoning death of Christ, the resurrection of Christ, and much more! Only about 85,000 members continue to exist in the world. Don’t these members ever doubt that Eddy was a prophetess of God who rejected nearly everything that Christendom has taught for two millennia? Herbert W. Armstrong (1892-1986) began as a minister in the Church of God (Seventh-day) in Oregon, and went on to begin a radio program and ministry called the “Radio Church of God.” Eventually Armstrong moved to California and named his church the “Worldwide Church of God” in 1968. In 1947 Ambassador College in Pasadena, California was begun. Armstrong emphasized Old Covenant regulations and imposed part of the Law of Moses on his growing number of followers (e.g., Holy Days, the Sabbath, food laws). This founder and leader emphasized British Israelism (Anglo Israelism), in which he taught that the United States and Britain descended from Ephraim and Manasseh of the Northern Tribes of Israel. Armstrong wrote Mystery of the Ages in 1985 and promoted the idea that his followers would become “God” (or be part of the God Family). 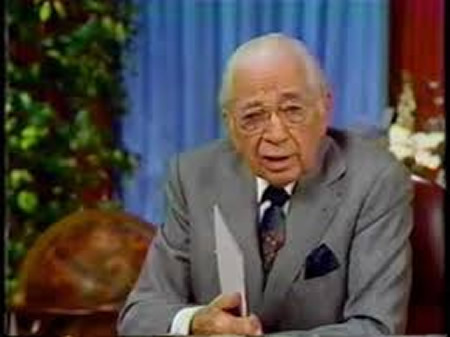 One statement sums up what his followers thought of him: “Worldwide Church of God (WCG) members believed that Herbert W. Armstrong was Christ’s apostle in the 20th century. Armstrong taught that God only works through ‘one man at a time’ and that he was God’s selected representative on earth for his time” (Wikipedia). Aimee Semple McPherson (1890-1944) was a talented and flamboyant preacher, teacher, and leader who began the “International Church of the Foursquare Gospel.” In some respects, McPherson’s church was similar to other Pentecostal Churches, but she was the undisputed head, leader, and motivator of the denomination. People found her somewhat questionable in her lifestyle and morality. Today, some eight million followers are found around the world. 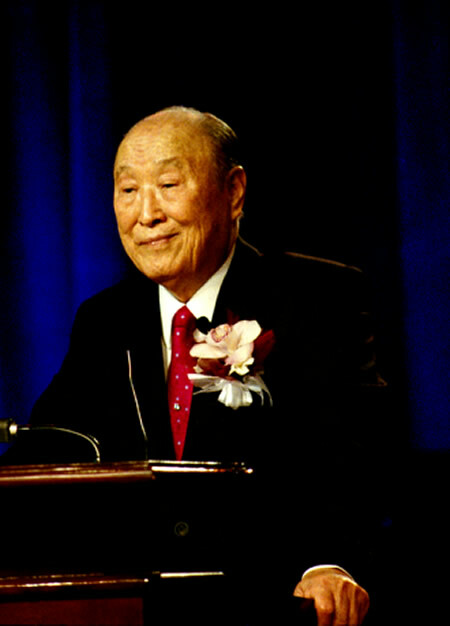 Sun Myung Moon (1920-2012) was rejected by the Presbyterian Church in Korea and launched out on his own. He taught that Jesus didn’t finish his work, and this work was given to Moon to accomplish. His unique message and principles are described in his book, The Divine Principle. Much deception is found in the group and they have various front organizations that hide their identity. Generally they are officially called the “Unification Church” (the “Moonies”). Victor Paul Wierwille began “The Way International,” an organization that today has groups in some 30 countries. The headquarters is located in New Knoxville, Ohio. Wierwille rejected Christ’s deity and eternality. Today the group is headed by Rosalie F. Rivenbark along with two other members. 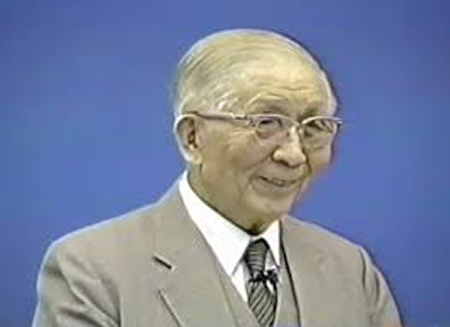 Witness Lee (1905-1997) was born in China and became part of the ministry led by Watchman Nee. Later he immigrated to the United States and formed Local Churches in various large cities (especially in the United States and Taiwan). He began Living Stream Ministry and emphasized personal subjective experience. When I visited a Local Church in this city years ago, they expressed their disfavor of Biblical “doctrine” and their emphasis on inner life. Witness Lee was the undisputed leader and all he spoke was accepted as God’s truth. 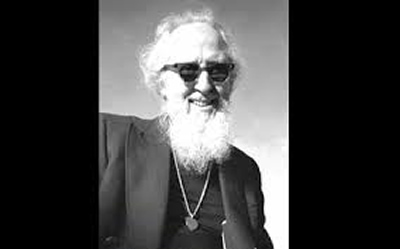 David “Moses” Berg (1919-1994) founded the “Children of God” group in 1968. They began as part of the Jesus Movement but began to follow Berg and his writings (Mo Letters) as inspired of God. Eventually they began an evangelistic outreach called “Flirty Fishing” in which their members practiced a form of religious prostitution. Many branches were formed overseas, some of which are to be found today. Elbert Eugene Spriggs founded the “Twelve Tribes” religious movement, based on the Law of Moses. This leader claimed to have a vision that led to the formation of about 30 communities scattered around the world as well as in the United States (especially New England). I visited their Island Pond (Vermont) community a couple decades ago. 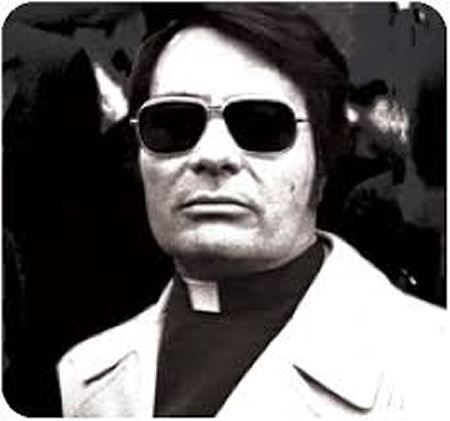 Jim Jones was a liberal pastor of the Disciples of Christ but eventually began a group called the “Peoples Temple” in California. This leader had paranoid tendencies and began to think the government and others were beginning to persecute this small cult. Some claimed that he began to proclaim himself to be divine and rejected the Scriptures. Jone moved his people to Guyana in South America and eventually, in 1977, convinced the community of over 900 members to commit suicide by drinking poison. 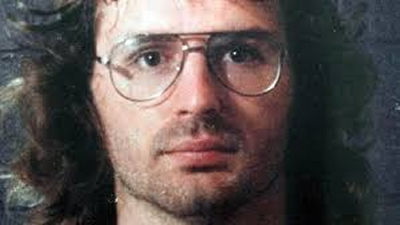 David Koresh (1959-1993) was a radical Pentecostal preacher in Waco who took radical views and proclaimed himself God’s special agent. He began to stockpile munitions in their well-fortified compound. Eventually, the compound and most of those inside went up in flames in 1993. Chuck Smith (1927-2013) founded the Calvary Chapel movement in 1965 in Costa Mesa, California. Originally propelled by the budding Jesus Movement of the 1960s and 1970s, eventually Calvary Chapels spread around the world. Breaking away from the International Church of the Foursquare Gospel (of Aimee Semple McPhereson) in 1968, Smith launched out on his own. 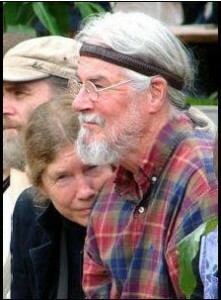 He promoted the idea that Jesus would return in 1981, but when He did not reappear, many left the movement. Today there are about 1,500 chapels in the world, led by a 21-member “leadership council” (since the death of Smith). 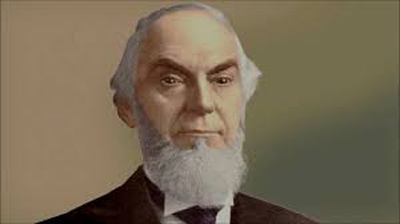 Although Smith never claimed direct inspiration (as in the case of some of the other leaders we have examined), he was the undisputed head of the movement until his death. Martin Luther began what we know as the Lutheran Church, composed of many different Lutheran denominations. John Calvin might be seen as the originator of various Reformed denominations. John Wesley is the undisputed founder of the Methodist Church, consisting of the liberal United Methodist Church and many other more conservative denominations. It is one thing to notice various religious leaders who are responsible for beginning a number of well-known denominations as well as non-traditional groups generally called “cults” (although they would deny this). The question we should be asking ourselves is whether it is safe or right to follow any human being! Is it wise and good to heed the teachings, directives or theology of important, even charismatic, leaders who gather a following and instill trust in people? Sadly, most or even all of these human leaders were deceived in various ways. They may have been able to see certain truths but they were mistaken on other important doctrines. Many of these doctrines were heretical or plainly false teachings. 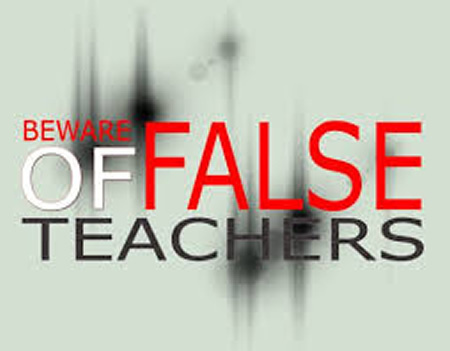 In other words, many of the ones we have briefly examined were clearly false teachers or false prophets! Earlier we noticed that Jesus said of the Pharisees, “Let them alone; they are blind guides of the blind. And if a blind man guides a blind man, both will fall into a pit” (Matthew 15:14). This means that if a “blind” false teacher seeks to lead people into his or her false teaching, all of those affected will fall into a doctrinal “pit”! We might also notice that various of these leaders and teachers were women! These feminist women were active before the modern “feminist” movement arose! Think of Mary Baker Glover Patterson Eddy. Think of Ellen G. White. Think of Aimee Semple McPherson. Think of the many women preachers, teachers, and leaders in our own day! It is almost as though they either never read or simply denied plain scriptures like Paul’s words: “A woman must quietly receive instruction with entire submissiveness. But I do not allow a woman to teach or exercise authority over a man, but to remain quiet” (1 Timothy 2:11-12). Would any of these women teachers and leaders obey these solemn words? Do they “receive instruction” or do they boldly “give instruction”? Do they “teach or exercise authority over a man”? Do they “remain quiet”? No, these brazen feminist women proceed to do what the Holy Spirit says not to do! Scripture says that “women are to keep silent in the churches; for they are not permitted to speak, but are to subject themselves, just as the Law also says” (1 Corinthians 14:34). It is plainly wrong “for a woman to speak in church” (v. 35). But such women as McPherson, Eddy, and White boldly speak publicly and exercise authority over men. The Word of God says, “Keep your eye on those who cause dissensions and hindrances contrary to the teaching which you learned, and turn away from them” (Romans 16:17). What about the men and women who began the church movements we noticed earlier? Did they teach anything “contrary to the teaching” of Scripture? Did people “turn away from them”? Do we turn away from them? The Scriptures go on to say, “Such men are slaves, not of our Lord Christ but of their own appetites; and by their smooth and flattering speech they deceive the hearts of the unsuspecting” (v. 18). Did their “smooth and flattering speech” propel them into leadership and cause multitudes to follow them and their authoritative teachings? This is a serious matter and all sincere men and women who value their own soul and that of their family must beware of the spiritual dangers that are to be found in such teachers. We must refuse to be sucked into their movements and taken in by their theology. Remember, your spiritual welfare is at stake! Information from “Handbook of Denominations in the United States” as well as Wikipedia. See also “Fast Facts on False Teachings” by Ron Carlson and Ed Decker, “Christianity, Cults and Religions” by Carden, “What’s the Big Deal about Other Religions” by John Ankerberg and Dillon Burroughs, “Understanding Non-Christian Religions” by Josh McDowell and Don Stewart, “The Illustrated Guide to World Religions” by Dean Halverson, and “World Religions” by Rick Billingsley. Why Did John the Baptist Lose His Head? Carnal Warfare or Spiritual Warfare? Come Out and Come Together! How were the Early Communities of Christ Organized? Why Not Obey All of God’s Word?